What Is A Personal Sports Fund? The funds are set up to help athletes under the age of 25 who are already competing in winter sports by assisting them to seek sponsorship from various sources as well as utilising Gift Aid via our charity to increase the value of each sponsorship amount for the athlete. 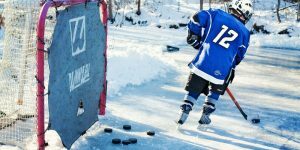 As we all know that participation in winter sports is very time consuming and costly so with the help from the charity we look to maximise any donations we receive on your behalf. 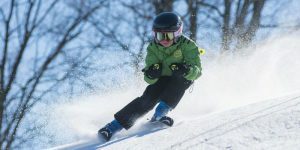 The aim is to reduce the financial burden that winter sports can place on parents. To enable the charity to reclaim the gift aid, a 5% fee for the service we offer is taken. This amount goes to running the charity and realising its aims for public benefit. What Does The Fund Cover? The parent or guardian of the child cannot benefit as a result of the Personal Sports Fund. The funds are available to any young person, who is described as anyone under the age of 25. If you would like to talk further regarding the Personal Sports Funds or allow us to come to your clubs to speak a number of athletes and parents on how to best use the Personal Sports Fund, then please get in touch. How Do I Apply For A Fund? There is a simple process for applying for a Winter Sports Fund. Just follow the steps below and remember, if you’re having problems finding a sponsor for your child, just contact us and we’ll help. Actively search for an individual to sponsor your child This may be any individual that pays a standard rate of tax on their income that isn’t a family member of the athlete. Use these links to download BOTH our Personal Sports Fund Application Form and our Gift Aid Form using the links to your right. Once the account is open, send in a sum of money to donated to the child’s sports fund. We will then apply to HMRC for gift aid to be claimed on the money. This will usually take around 2 weeks. You can then either leave the money in there for future receipts or if you have receipts already, you can use those receipts to reclaim the money. We can back date any receipts for up to 12 months. Travel costs from the athlete’s home to a training venue when submitted with the invoice for the training costs at that venue paid at 26 pence per mile as stated on the HMRC web site. 95% of the donation and of any associated gift aid received will be applied to the PSF nominated by the donor to the WSF I understand the rules of the Personal Sports Funds and agree to the Winter Sports Foundation periodically checking the worthiness of claims. Excessive or inflated claims are a criminal offence and can be reported to HMRC.